It's Fabulous Friday today...well, it's extra Fabulous because it's a long weekend as well!!! 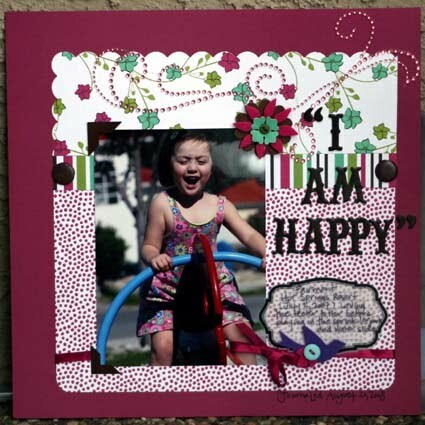 Today we have a fabulous Anything But challenge from our lovely guest designer, Lizette. The other day I was looking for an accessory for my plain dress. I took my Bo Bunny blossoms to make a clip for my hair. You can also add a pin to make a broach too. I also made a book mark because I wanted my girly summer read to look more feminine! 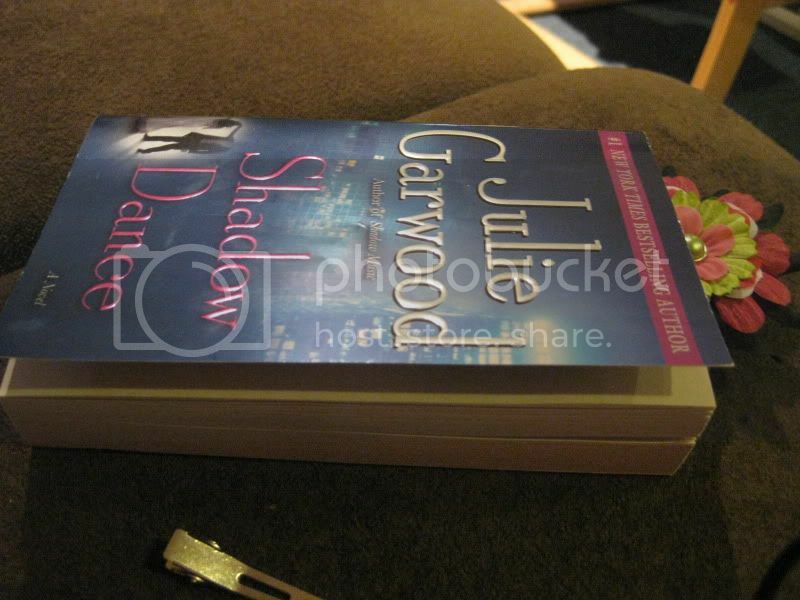 Here is another view of the bookmark. 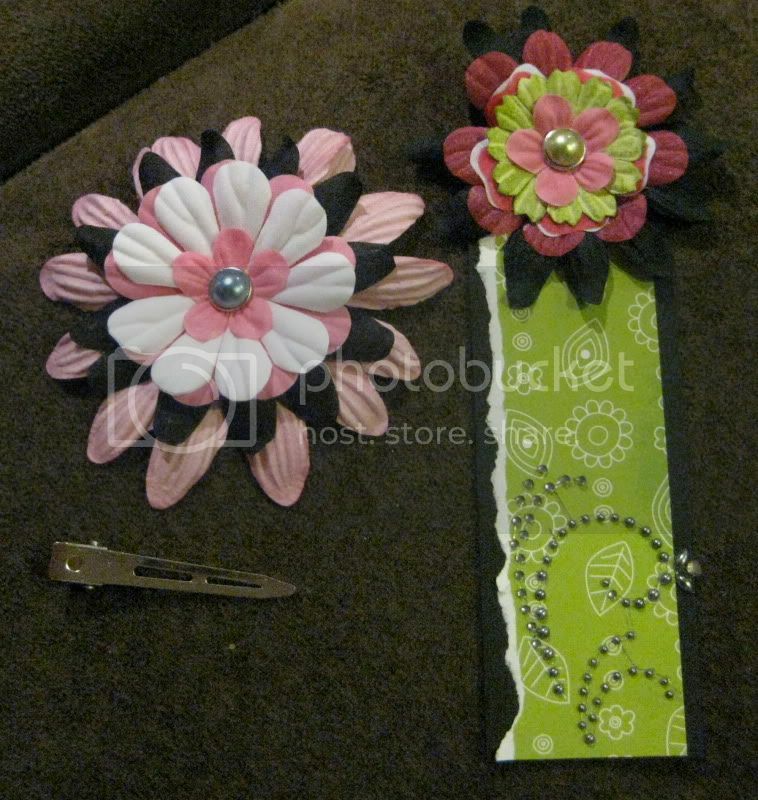 My challenge to you is use your blossoms to create hair clips or clothing accessories or a bookmark like I did! Thank you Lizette for this great challenge! Don't forget to link your projects back to this post! Well, it is official! 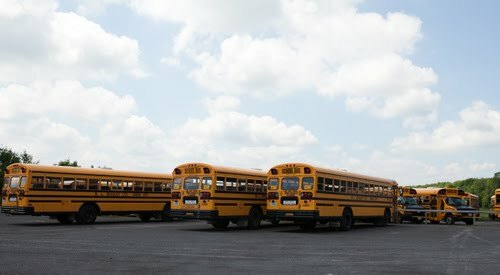 We are half way through the summer! Yikes! Here is your card inspiration for this week! I look forward to seeing your layouts! 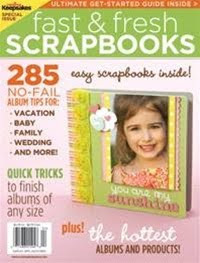 The Roving Photographer continues with Scrap Shotz's special Correspondent and Roving Photographer, Rosie Neustaedter. Here is her report. 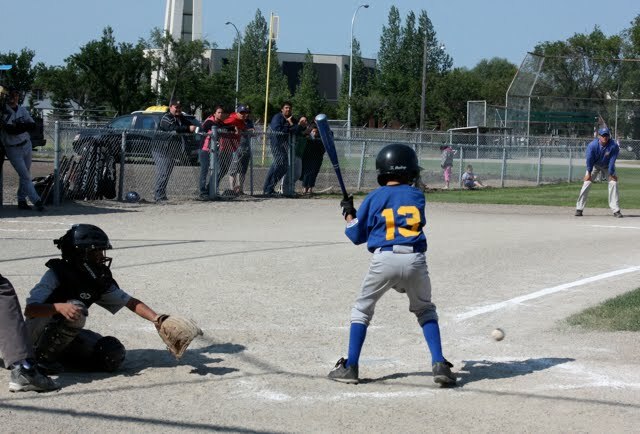 Baseball players are generally known as "the boys of summer" since the majority of the season takes place during the summer months. I've got two ball players in my house and summer means the regular season ends and all star season begins so with kids on two different teams, I have double the photo opportunities! 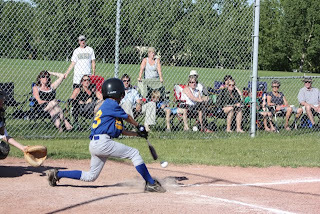 Photographing sports can be challenging. 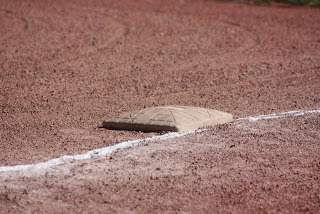 You can't get up close on the field of play for closeups, the play can move quickly making it difficult to capture the action-you don't have time to fiddle with settings during a game. In baseball specifically, there is a chain link to have to shoot through if you want photos from behind the catcher. 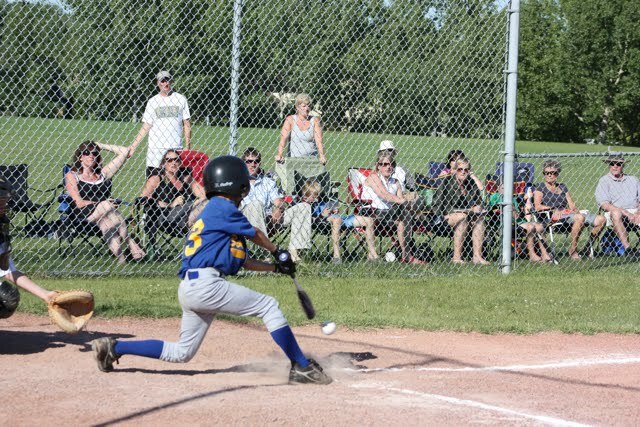 I've found that with patience, the sports mode on my camera, a little luck and being okay with non-action shots, I've captured some great memories. 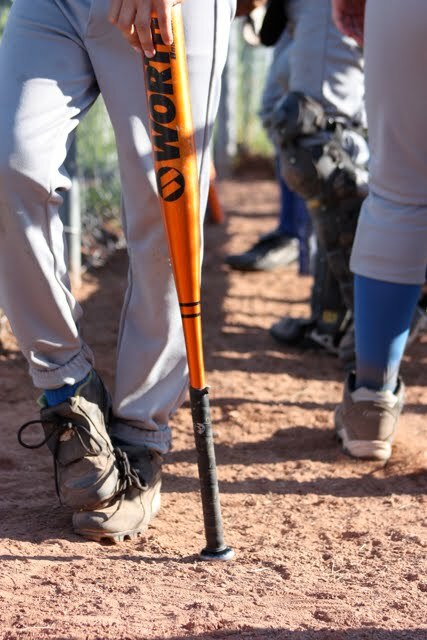 I love this shot where I managed to get the ball in the frame. 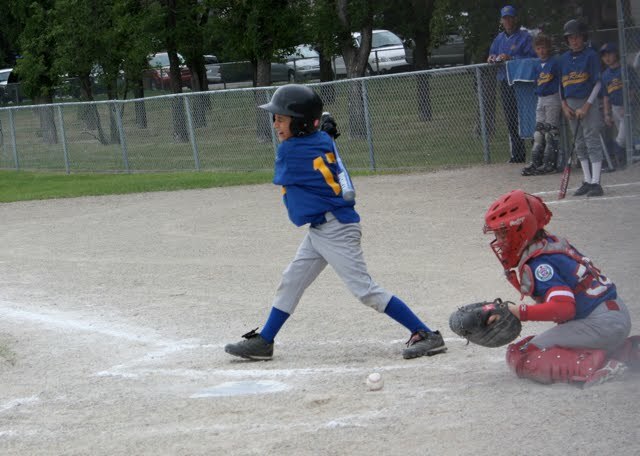 The look on my son's face is priceless and makes so much sense when you see where the ball is. Not one to swing on that's for sure. 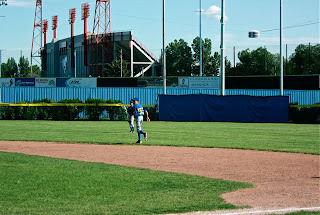 This is the view from the stands of my older son starting at 2nd base. 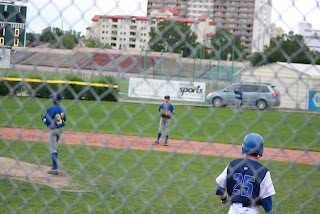 I got up close to the chain link fence and shot through it for this photo. Here is the perspective with the fence in view. Another lucky shot with the ball in the frame! Here are a few photos that will be a nice reminder of the game itself in our scrapbook. Every photo will definitely not be a winner when photographing a sports event so I've learned to be happy with the imperfect as well! Thank you Rosie for your special report! I love all your photos! So how are we doing with the challenges? It's hard to believe but summer is almost half over! Eeek!!! I look forward to seeing the card you create from this layout! Check out this fab card that Maggie uploaded this week! 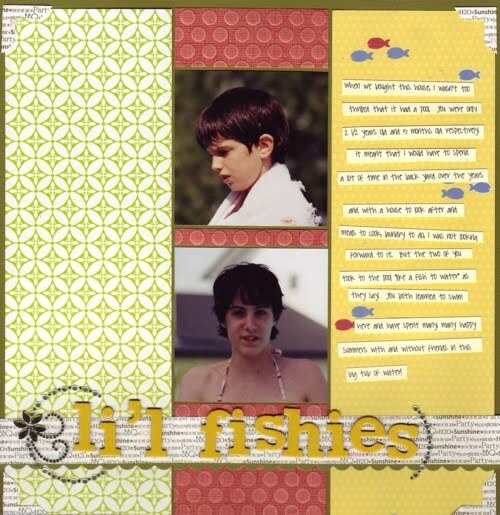 With three boys of my own, it seems like I am forever making cards for boys and this one is perfect! Thanks for sharing it with us Maggie! 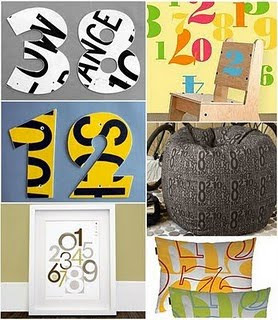 Numbers are becoming a big trend these days and when I saw the inspiration picture I immediately thought of this fun Girls Paperie - On Holiday Paper. My challenge for you is to create something with numbers being predominant in your project. Here is the inspiration. Thanks Laurel for the challenge! Our first inspiration card is by Amber Tosh, a former Scrap Shotz Design Team member. Oooh...aren't you bursting with ideas using this card as inspiration? I know I am! And here is your second inspiration card created by Erica Perkins, current Guest Design Team member. Isn't it adorable??? I love it! I can hardly wait to see your creations! All of the creations have been stunning! Thanks for playing along! Hi everyone! Roving Photographer Stephanie here, looking for summer. Here in the Ottawa Valley summer has hit with a vengeance. We’re sweltering in plus 40C humid weather. But, let’s say you couldn’t feel the temperature, and didn’t have a calendar in front of you……how would you know it was summer? Look around you. Use your photographic eye and “see” summer. The wildflowers are back. 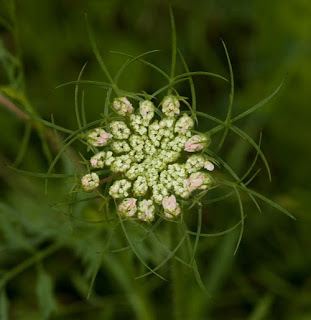 The roadsides are blanketed with Queen Anne’s Lace, day lilies, black eyed susans and purple loosestrife. And with the wildflowers, the bees are buzzing and the butterflies are flitting! The farmers are busy getting the hay into their barns. 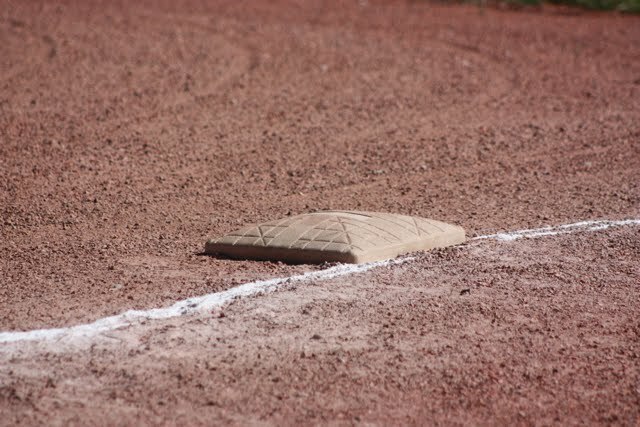 With such a short season here, most fields only have two cuttings. 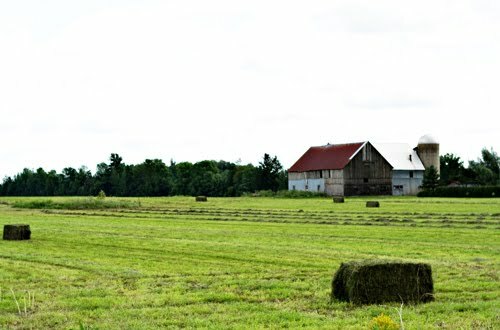 A good summer is three cuttings of hay. Look up in the sky! Did you notice those big fluffy clouds? 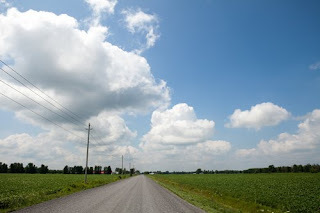 Summer is the only season when you will see those flat bottomed fluffy clouds. These are just a few ideas of how you can capture summer in your photos. I’d love to see what you can photograph that will say SUMMER. What do you think? When you see these images do they just scream summer to you???? I am SO happy to have my laptop back from the shop, oh so happy! Now I can share the next layout to card challenge. Below is my layout. I am looking forward to seeing your lift of my layout to create a card! Don't forget to link me up, ok? I want to share a totally inspiring layout with you today! This one was uploaded by Liana (lianark) and I just love everything about it! We are in for a treat this week. We have the talented Erica Perkins giving us a Chromotherapy Challenge. I can hardly wait to tackle this challenge on the weekend. I put my name down for the chromotherapy post this month and when I sat down to do it, I thought, "is chromotherapy actually real?" A quick tour of Google later, I learned that there is actually a study of colour and it's affect on our health in terms of healing. That lead me to see if any colours could do something about the sore throat and stuffy nose I'd been fighting and wouldn't you know it, I found that the colour green is useful in the treatment of colds (along with many other things). So here is my challenge to you this week. Pull out some green paper, ink, stickers, alphas, whatever you have and create something in this harmonious colour. Here's my take. I love the green with the crisp white, but you can match it just as well to purples, browns, yellows, oranges and pretty much anything else. It is so versatile of a colour. This book is jam packed with examples, and I mean beautiful examples, that you can whip up in an evening or leisurely work through over several weeks. I have dog earred several albums that I will making as gifts for a few special recipients. What makes this idea book stand out for me is the digital elements/tips that I can immediately incorporate into the building process. As well, there are a few sketches included for the filler pages and a few examples that use photo protectors to create a full sized album. I love this! This challenge post is late today; I am very sorry. I have had serious (and heartbreaking) technical issues with my laptop. It just died. Completely. Nothing but the big blue screen with no printing and no movement...sigh...of course every single thing I need is on that laptop which is now sitting with the Laptop Gods at the Toshiba service desk. Sadly, I cannot show you my example to the challenge..but on a brighter note, I can give you the layout to which you are challenged to create a card. I am SO excited to see your cards! Don't forget to link me up, ok? We are in for a treat this sunny summery Friday. 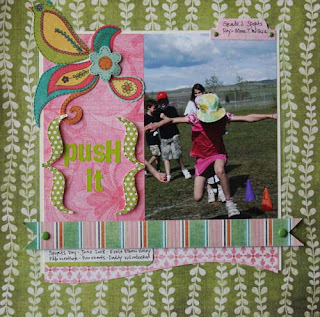 The talented Stephanie has a Blueprint Challenge for us this weekend. I have a very easy layout sketch for you today. I find that the easiest sketches are the most versatile to work with. This layout uses the fabulous Jillibean Soup Summer Squash papers! I also added some Basic Grey bling and AC Thickers to my layout. You can find all of this in the store at Scrap Shotz. My challenge is for you to use this sketch as a basis for you layout and make it your own! Are you ready for Challenge #2? It's a card to layout challenge. The weather has been so SO nice today that I have been spending all my time outdoors. I love summer! Some ideas for you...this is a set of 3 mini cards. 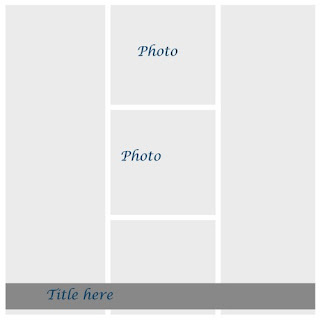 Feel free to add groups of 3 elements to your layout or lift a design from the card for your layout. I happen to have a layout that was inspired by the design of the card on the right. I look forward to seeing your interpretations of the challenge! 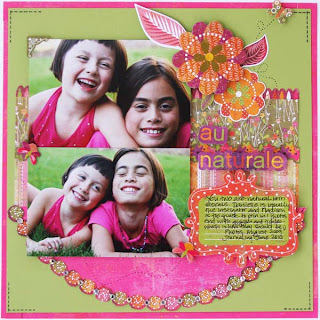 Summer Lovin' Scrapping Challenge AND a Fabulous Find!!!!!!! 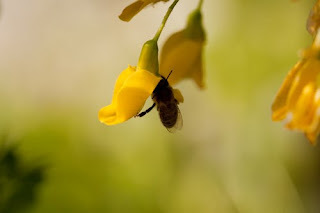 It is summer and the living is easy! 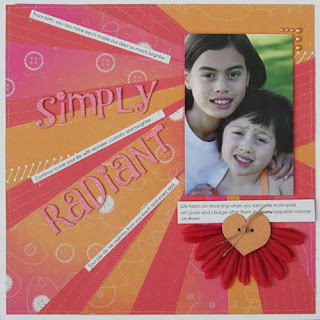 So how about a scrapping challenge on this blog??? While summers are generally less structured, sometimes it is hard to motivate myself to create even though the mind is willing. A challenge just spurs me on. So are you interested??? 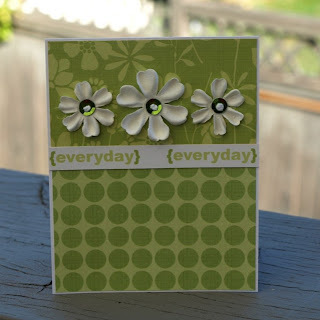 On Tuesdays and Thursdays I will post a layout and a card, respectively on the blog. 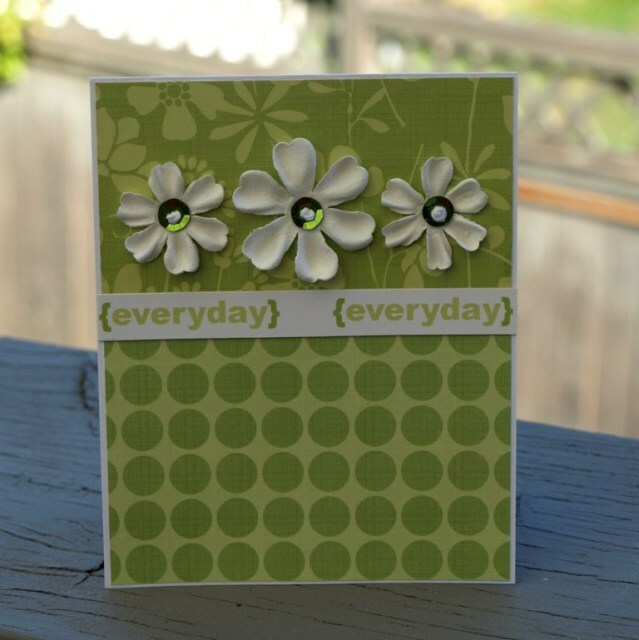 You lift an element, any element of the sample and create a card from the layout and a layout from the card. You can choose to do one challenge or both challenges; it's up to you! I'm easy!!! So you could lift the colours, maybe the cluster of embellishments or the general design...really, anything your heart desires, you can lift it. 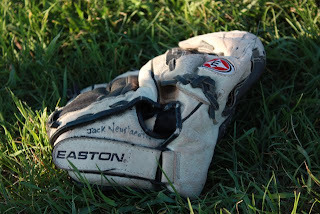 I am not picky in the least - I just want to see us all scrapping! When you have completed your lift, link me up in the comments, ok? I want to put your name in the draw for a prize that has been generously donated from Sandy. I'll make the draw at the end of the summer, after the final challenge. So you ready??? Below is the challenge layout in which you lift elements to create a card. 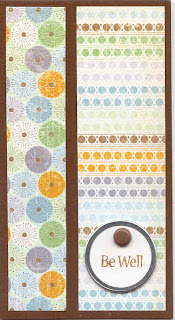 Supplies: Basic Grey (pattern papers, borders, chipboard, title, cardstock stickers, title); Kaisercraft (gems); American Crafts (pen for journaling); coluzzle. Created for Valerie Salmon Sketch #100. And....as promised...the supplies in the challenge layout is my latest Fabulous Find. 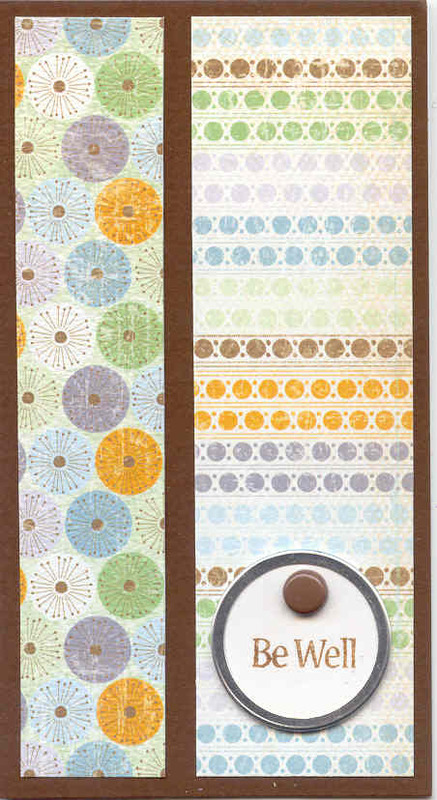 Gosh, the Basic Grey Green at Heart collection of papers and accents are simply...A-MAZING!!!!!!! The colours and patterns in this collection are truly one of the most versatile collections they have put out. I found that I could use the collection for girl dominant photos, for nature photos, for the manly man in your life, vacation photos and sports photos....I think you will agree that is pretty darn versatile! LOL And the embellishments...oh my! There are SO many that while I have only snippets of scraps left, I have tonnes of chipboard, brads and rub ons left. The strength of Basic Grey is that these accents can be used with their other collections as well...and that I did! Don't forget to show me your card! Just thought I'd share this one by Ruby as we wrap up our Canada Day weekend! Be sure to link me to your Canada Day or Fourth of July layouts and photos... I'd love to see them! Oh, oh, oh...I am bursting to show you what Denise has planned for this Fabulous Friday!!! See what Denise has for us! With graduations happening all around us I was in need of some holders to add gift cards to and this little envelope GC holder was quick and cute. I love the teal and purple combo of Bo Bunny's Peacock Lane and I was lucky enough to have this teal envelope in my stash. 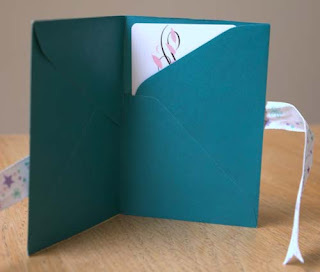 To create the GC holder just fold your envie in half and cut off half the envelope flap following your fold line. Glue down the un-cut flap and you now have a pocket for your GC. Decorate as desired and add ribbon to hold it all closed. 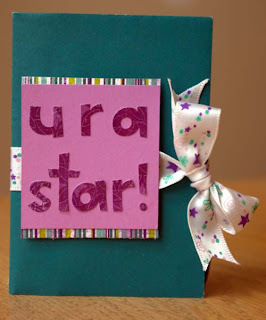 I am sure you must have graduations, a teacher thank you or yet another birthday to celebrate soon so I challenge you to make a gift card holder. Try out my envelope holder or create a GC holder of your choice. Don't forget to share it with us!